Do you enjoy wildlife photography? If the answer is "Yes", then I am sure, you surely must be feeling helpless sometimes as going to a National Park is a time consuming and costly affair. Even if you go, you have to be lucky enough to sight an animal of your choice (at least for some minutes) and at a fair distance to create a good composition. In National Parks, even the lens with longest focal length might fall short, as the subject of your interest can be at any distance and can be looking at random direction. Further, you need to plan everything in advance (the tickets, the baggage) and gather lot of information beforehand. How to Take Great Zoo Photos? Still, to keep your passion of wildlife photography alive, you can consider other options, such as Zoological Parks (Zoo). These parks are available at almost all the metros and big cities. The wild animals are kept in fairly large captive areas and fed with the all food of requirement. They also have veterinary doctors, zoo keepers and full administration to manage the animal's requirement. 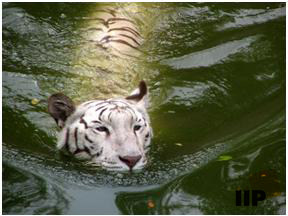 Even, you can find some animals like White Tiger in Zoo, which are not available in natural habitats anywhere in the world. You can also find some animals, which are not native to your country, such as Giraffes and Zebras in India. Over and above this, everything is at a fairly good photographic distance. Although, the thrill of wild life photography in natural world cannot be compared with Zoo, but considering the positive aspects discussed above, Zoo can also be a good place to follow your passion. The first and most important thing is to check when the Zoo is closed. They are closed once a week. Generally it is Friday. But, check before you leave for it, else all your plans, to come back with great animal photos will drown at the gate of the Zoo. Check the map of the Zoo properly and identify which all animals are you interested to shoot. Zoos cover very large area and moving randomly can end up wasting lot of time. Generally this information is available in the brochure provided with the ticket, at entrance or at certain junctures inside the Zoo. Follow the correct path. 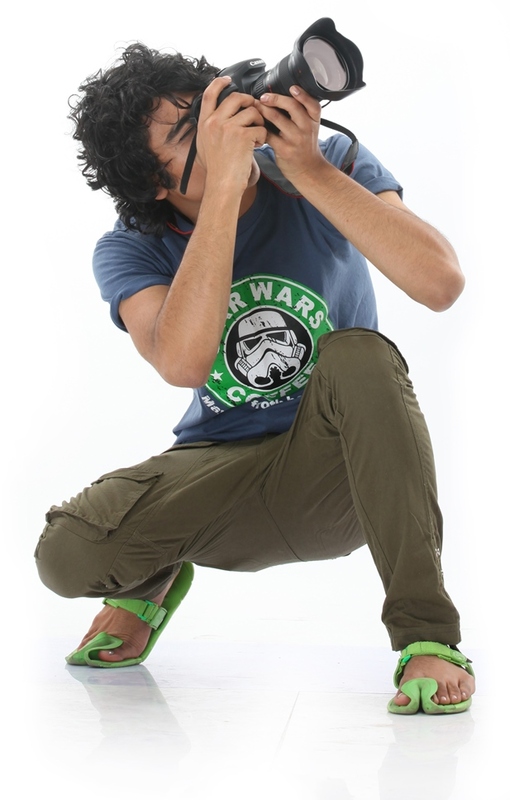 Wear clothes, which can get mixed with the nature, such as dark green, brown, faded jeans, etc. Avoid any gaudy clothes as it makes animals uncomfortable. 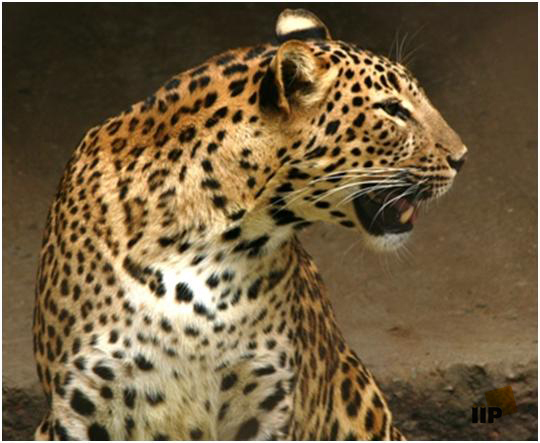 Check the feeding time of animals, especially for the wild animals such as Lions, Tigers, Leopards, Crocodiles, etc. They are most active during their feeding time and can gift you some real good shots. Generally, this time is between 3pm-5pm in the evening. But the same can also be checked with the local Zoo authority. Animals and birds are generally lethargic towards the middle of the day (between 12 pm – 3 pm). Best time to shoot them is in the morning or in the evening. Water birds are generally not caged. 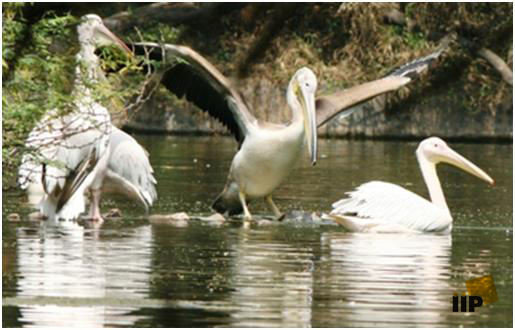 Zoo is the best place to find these water birds at relatively closer distance. 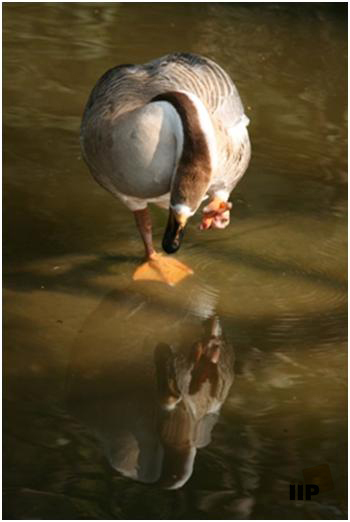 Sit patiently for some time along the water pond and anticipate the movements of birds. You can take very good shots of birds landing and taking off with their wings wide open. Zoo is one of the best places to find animal offspring (babies). You will not find them easily in national parks. They are also more active and makes very good photographic subject. Relatively cool climate is ideal for shooting Animals. Extreme hot or extreme cold climates make you as well as animals comfortable. So prefer to plan either in October – November or February - March to visit Zoo. If you are going in morning, target to reach at the opening time of the Zoo, so that you find least disturbance (from other visitors) while shooting. Never tease or irritate any animal to make it active and to get an action image. Some Zoo's even have penalty if found caught doing this. It is anyways unethical. Camera with higher frames per second (above 5 frames per second) would help in taking multiple shots of any kind of action of Animal. Use multi-shot mode of the DSLR, especially for any moving, running animal or flying bird. Keep the camera in shutter priority mode and keep shutter speed higher than 1/250sec for animals and 1/500sec for birds. If a bird is flying, shoot it above 1/1000 sec. Also, keep the aperture at largest possible values. If the light is dim, then increase the ISO speeds. Try your best to keep shutter speed higher. If even ISO-1600 is giving dark photos, then only consider decreasing shutter speed a bit. It is useful to have a lens above 250 mm in focal length and have image stabilization to give your fairly close and stable photos of animals. For caged animals, where the cage is coming in between photographs, shoot at highest available focal length, at widest aperture available and closest possible from the cage. This would make the cage out of focus and you will find the animal's image without any obstructing lines. The image below is taken across the wires of the cage using the same technique. Try to shoot with sunlight coming from opposite or sideways. This would provide required light to keep the shutter speed high. Never use flash in Zoo. It will irritate or scare the animal and your flash would anyway not reach the subject (as the subject is sufficiently far). If you are planning for bird photography only at Zoo, then it is advisable to use a tripod. You may need to patiently sit for multiple hours to get some good shots. Anticipate movement of an animal and pre-focus in that area to get a better shot. This would need some time for observation. This technique is helpful especially in shooting flying birds. Do not cut any part of animal while shooting unless done deliberately to enhance the composition. Generally, we forget and later regret this. Zoos are generally full of greenery. Apart from cages animals, there are lot more animals (such as birds, peacocks, ducks, squirrels, lizards, chameleons, butterflies, etc) which are roaming around freely. You can turn your focus to them also sometimes.